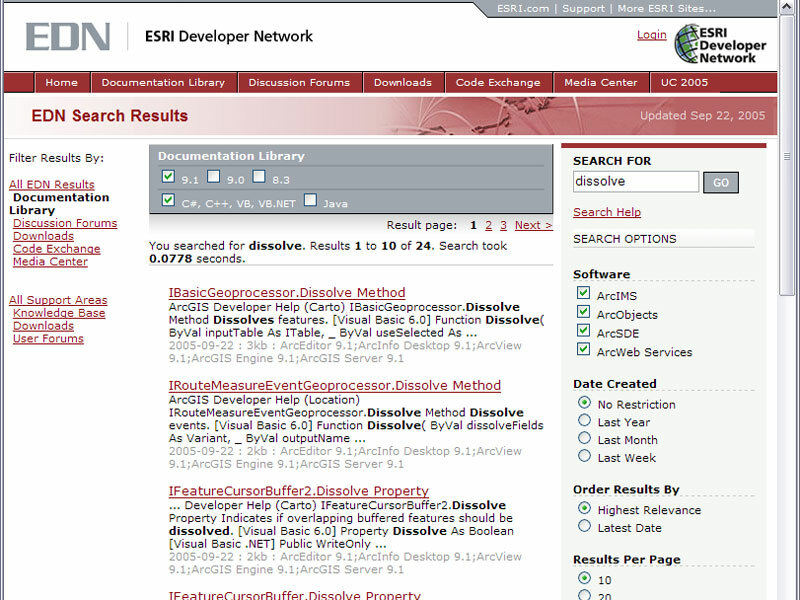 Brian says that EDN search has been improved. Honestly though, I can’t recall how the old search worked because I’ve never used it (I just don’t like the interface at ESRI’s support site). As a developer though I’m glad they have gotten this working because anything that causes me to go to EDN is a good thing as the only value to EDN right now is the software. If you work for a company that already has all the licenses, EDN doesn’t give you anything more than you already have. Now that the search is working, maybe we’ll see some more enhancements such as an improved ArcScripts and maybe more ESRI posted code samples to play with.